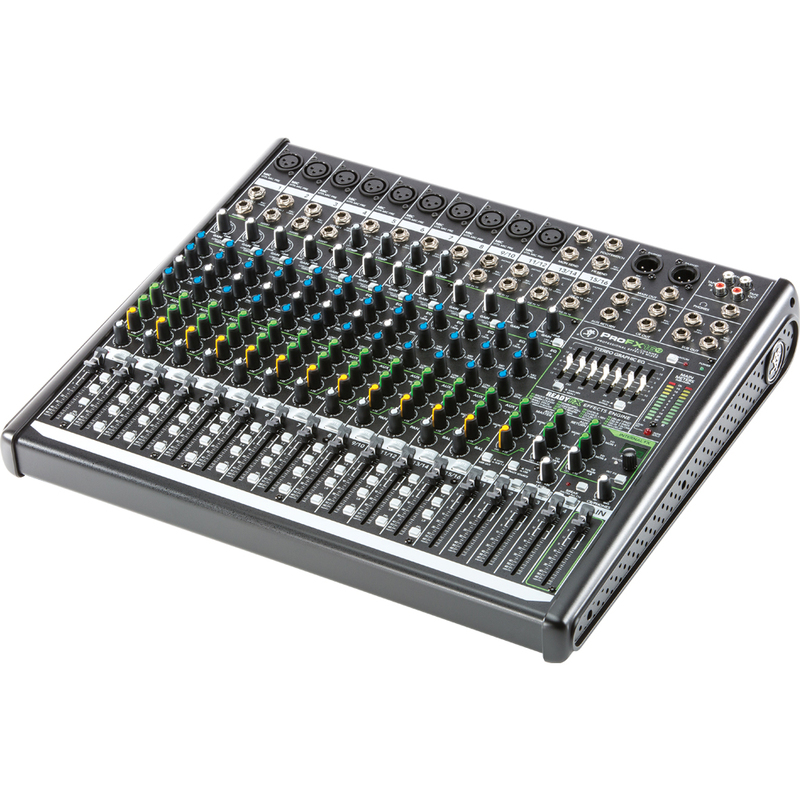 The Mackie ProFX16v2 is a robust and versatile 16 channel mixer that features a range of innovative effects and connections to provide a comprehensive mixing console. 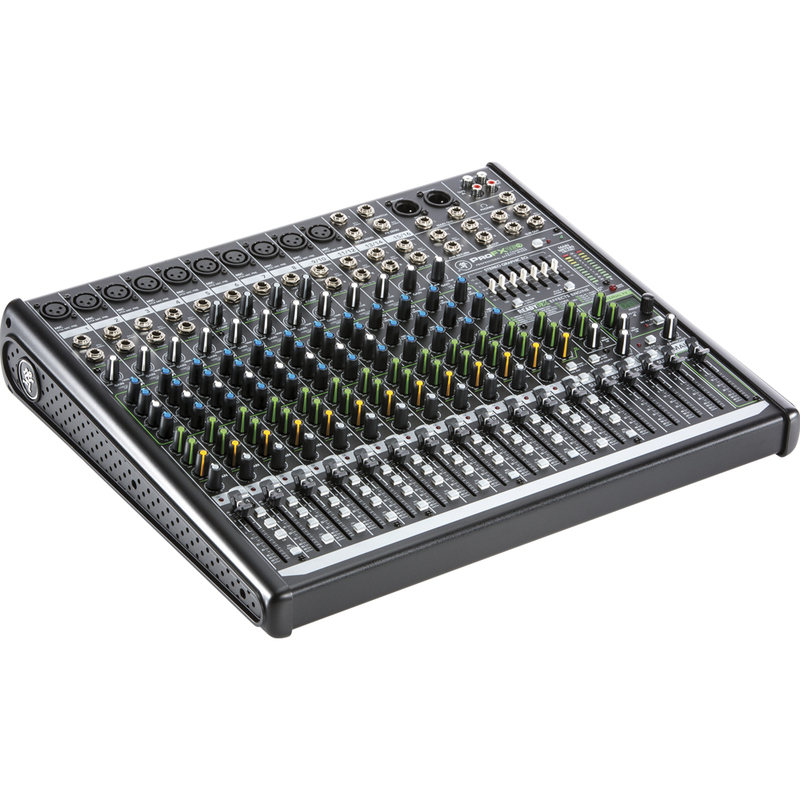 With ten powerful and transparent Vita microphone preamps, 16 built in digital effects, 7-band graphic master eq and 3-band eq per channel and USB connectivity the ProFX16v2 delivers premium Mackie perfect for studio and live applications. 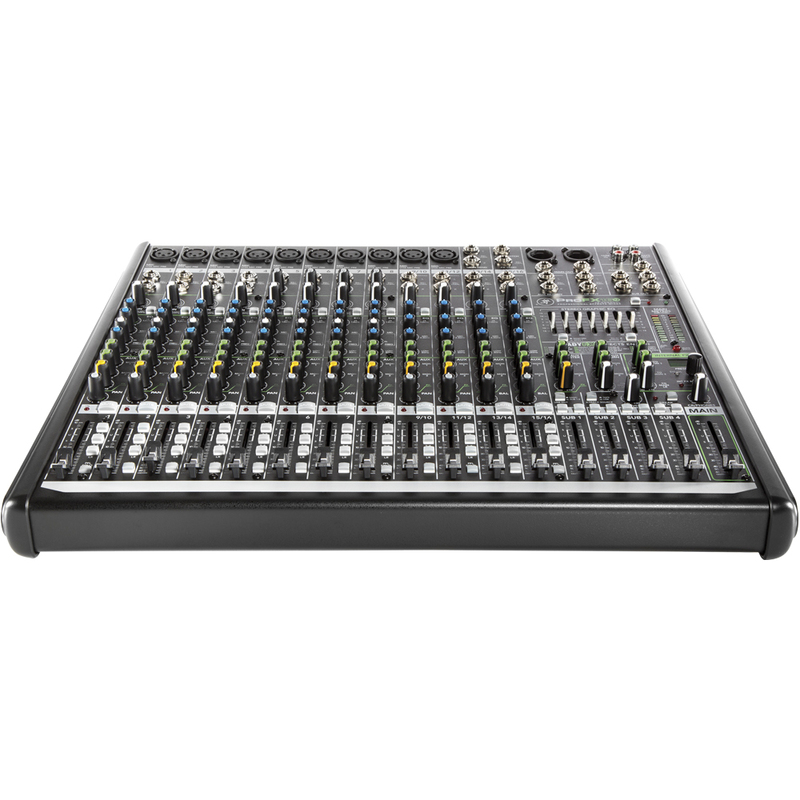 The ProFX16v2 features a built in USB interface to allow simple recording of your live mix direct from your mixer. Additionally the USB connection can be used to playback music from laptops and other devices during the show. 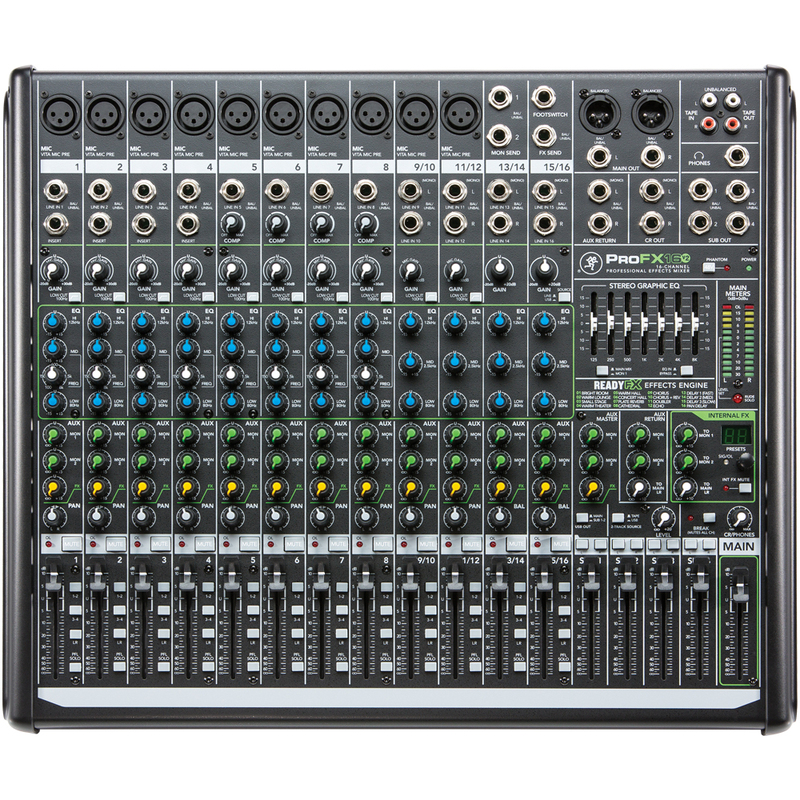 Included with the FX16v2 is the easy to use Tracktion recording software. 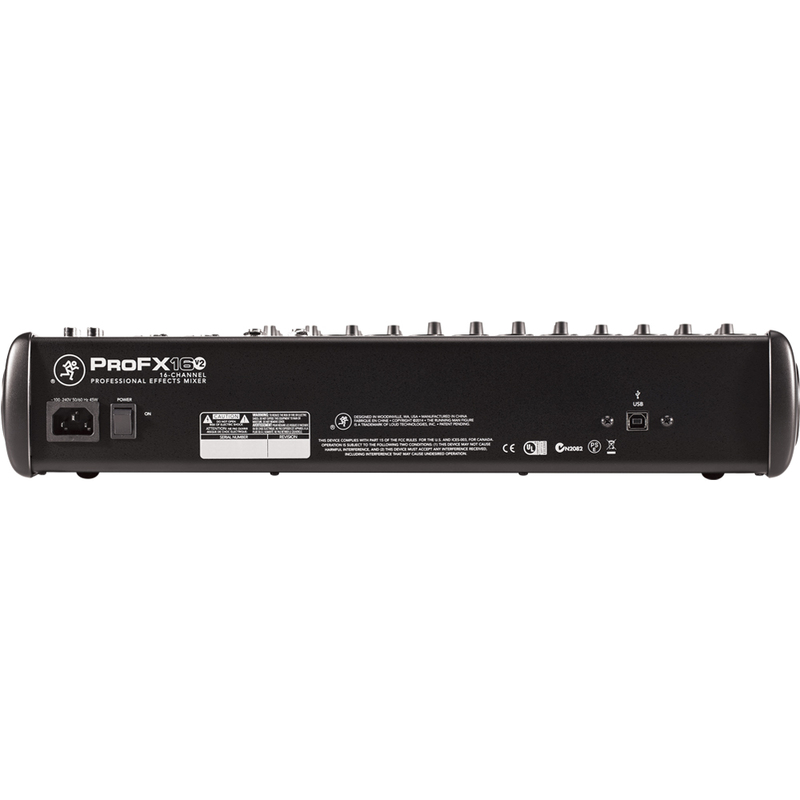 The ProFX16v2 has 3-band equalization at carefully selected points which can be used to boosts or cut all frequencies past the specified frequency. The hi EQ provides up to 15 dB of boost or cut above 12kHz, and it is also flat (no boost or cut) at the detent. 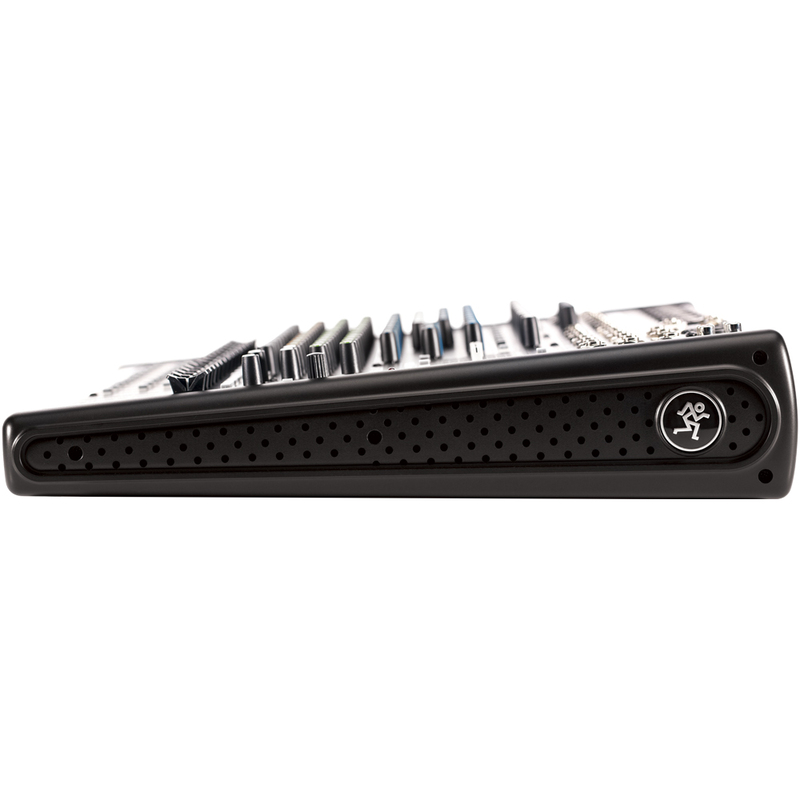 Use it to add sizzle to cymbals, an overall sense of transparency, or an edge to keyboards, vocals and guitar. Increase the cut to reduce sibilance from a microphone or to mask tape hiss. The mid EQ is centred at 2.5 kHz and can be used to manipulate the dynamics of connected instrument. Additionally the low EQ provides up to 15 dB of boost or cut below 80 Hz. This frequency represents the punch in bass drums, bass guitar, fat synth patches and some baritone singers.